For many years, THPRD has been one of the area's leading providers of swim lessons to kids and adults experiencing disability. Currently, these classes are offered at Beaverton Swim Center, Harman Swim Center and Sunset Swim Center. 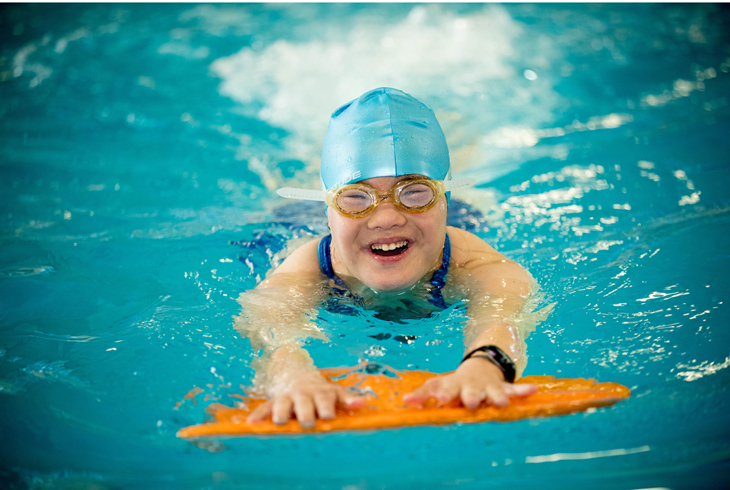 Adaptive swim lessons are designed for individuals (age 3 and older) with developmental, cognitive, and physical disabilities. These one-on-one classes can be personalized for the needs of each participant. Enroll online or at any THPRD facility. Before the first class, complete the Swimmer Information form (located in the document center on this page). For more information, call 503-629-6312. A complete list of current/upcoming classes can be found in the activities guide. You can access these classes in our online class database using the keyword 'adaptive'.